Can the Council Help Bring Startups to the City? “Today the Senate passed a landmark health care reform bill, an historic accomplishment in the long-standing effort to improve the health care system to better serve more Americans. This bill, and the version passed earlier this month in the House of Representatives, make important progress for the 2.5 million uninsured New Yorkers and for uninsured Americans in every state. “However, I am deeply troubled that the Senate version of the bill worsens what was already an inequitable situation for New York and I will continue to be an advocate on behalf of New Yorkers to ensure we are treated fairly by this critical federal legislation. The Senate bill adds close to an additional $ 1 billion annually in new State Medicaid costs to New York. This could result in a 15 percent reduction in payments to providers, meaning hospitals, nursing homes, home health agencies and community clinics could ultimately face these reductions because of strained State and City budgets. To see what other prominent New Yorkers think health care reform will mean to the state, check out these editorials and our Health Topic Page. Gov. David Paterson and First Lady Michelle Paige Paterson are welcoming guests to the governor’s mansion on New Year’s Day. If you feel like making the trek up to Albany to start off the new year all you have to do is sign up here. The deadline to register for a chance at tickets is Dec. 27. As expected, Department of Information Technology and Telecommunications Commissioner Paul Cosgrave will “retire” next week, adding to the crew of commissioners who will not be joining the mayor for a third term. This particular “retirement,” which the News dubbed a resignation, comes after the city’s 911 call system upgrade was two years behind schedule and over budget. The mayor’s statement below boasts Cosgrave’s work on 311, but is silent on the 911 controversy. In another department, the mayor announced on Monday the appointment of Salvatore Cassano to head the Fire Department following Nicholas Scopetta. When I appointed Paul Cosgrave Commissioner of the Department of Information Technology and Telecommunications in 2006, our Administration had made unprecedented gains increasing public access to City information and services. Still, I charged Paul with going even farther, giving New Yorkers new ways to interact with City government, and making City government even more transparent. He had great success achieving those goals. Paul expanded our 311 Customer Service Center, which provides New Yorkers round-the-clock access to information and services in some 180 languages. He helped create an enhanced 311 service for public school families which provides an easy-to-use resource for parents and guardians seeking answers about their children’s education. Thanks to his efforts, New Yorkers can now access 311 by phone, via multiple online channels, and attach pictures and videos to complaints submitted from their desktops or mobile phones. And just last month, we announced an agreement with the MTA to explore streamlining public access to mass transit information. Paul spearheaded the effort to create the New York City Wireless Network, a state-of-the-art broadband infrastructure transforming how City agencies ensure public safety and deliver services, as well as the expansion and adoption of broadband service in low income neighborhoods. “Through it all, Paul’s greatest strengths have been his ability to work collaboratively and effectively with a wide variety of stakeholders and find ways to get things done. On behalf of the people of the City of New York, I thank him for his distinguished service and wish him all the best in retirement. New Ethics for the New Year? Following the conviction of former Senate Majority Leader Joseph Bruno, state legislators promised they were hard at work on a new ethics reform bill and would make its passage a priority in the new year. Details about the contents of the bill have been scarce but apparently negotiations are moving ahead. Austin Shafran, spokesman for the Senate majority, said that Sens. Eric Schneiderman and Daniel Squadron have had fruitful negotiations with the Assembly, and now more details about what might be in the bill are available. Shafran noted that the package is still under negotiation, but so far it appears to be very similar to the bill the Assembly passed earlier this year and the chapter amendment the Senate attempted to add later. In category: Albany,Eye on Albany,Gotham City	| Comments Off on New Ethics for the New Year? “It would be hard running from Brazil,” former mayor Rudolph Giuliani said, referring his involvement in providing security consulting to the 2016 Olympics in Rio de Janerio. It was that commitment among other business affairs that Giuliani announced today will keep him from seeking political office in 2010. Sen. Eric Schneiderman and Assemblyman Adriano Espaillat seem to share at least one New Year’s resolution–they both hope to pass legislation that would give the wrongfully convicted a chance to prove their innocence and vacate their conviction. Both legislators were joined today by a number of civil rights groups as well as Fernando Bermudez to announce their support for the legislation. Bermudez served 18 years in prison for a murder he didn’t commit before a judge dismissed the indictment against him this past November. A witness in Bermudez’s case was found to have lied in court. Try as they might, City Council members cannot seem to resist getting embroiled in controversies over street naming. The latest, has arisen over a proposal to rename a part of the Queens street where Sean Bell died for the unarmed man killed in a barrage of police bullets as he left his bachelor party in 2006. (The police were acquitted of criminal charges arising from the shooting.) Councilmember Peter Vallone has asked Speaker Christine Quinn to take SeanBell Way out of the omnibus street naming bill council is set to consider this afternoon. The dispute echoes the 2007 controversy over a proposal to name a street after black activist Sonny Carson. That effort, which sharply split the council, failed. And it echoes earlier controversies that, in the eyes of some, trivialized and distracted the council for years. In 2001, Councilmember James Oddo called for the council to get “out of the name changing game” and suggested community boards handle renamings. The economic crisis in New York — as opposed to say, Flint –has often been depicted as a story of high-end financiers and real estate entrepreneurs. But while such affluent people may have lost incomes they apparently have kept their jobs. According to a neighborhood-by-neighborhood study by the Fiscal Policy Institute, the economic downturn has ravaged not the East Side, but East New York. While unemployment on the Upper East Side and Upper West Side hovered at around 5 percent in the third quarter of 2009, the jobless rate reached more than 19.2 percent in East New York and 15.7 percent in sections of the Bronx, according to the institute’s estimates. Black men continued to have the most trouble finding work, with one in five listed as officially unemployed. And unemployment hits hardest in rate in November was 10 percent, a slight drop from October. On Gotham Gazette today, James Parrott, deputy director and chief economist for the institute, discusses the key role job creation must pay before a true economic recovery can begin. See Job Creation on Washington’s Agenda for 2010. As everyone and their mom talks about the MTA’s current mess and how to get out of it, one alternative to chopping transit service has generated the most discussion: using funds from the MTA’s capital budget to plug the deficit. 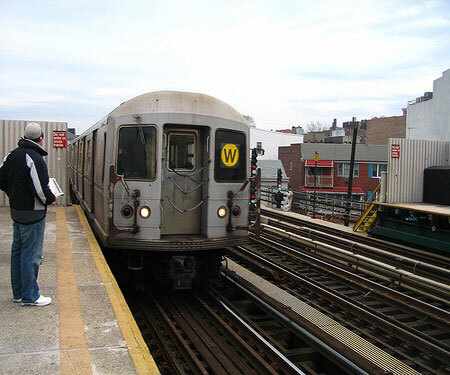 Supported by a number of council members and the Straphangers Campaign, the plan would take money from the capital budget – used for things like maintaining and expanding the system’s infrastructure – and use it for operating expenses, such as salaries and fuel, which is where the immediate gap is. The goal is to make sure the MTA gets through the year without any service cuts while leaders devise a long-term solution. Walder said he’d consider the proposal, according to Reuters, but noted that it was a “slippery slope” which the MTA already once descended in the 1970s, leading to decades of disrepair. But it isn’t even on the table for others. Neysa Pranger of the Regional Plan Association points out that the MTA’s capital budget gap is $9.9 billion dollars over five years while next year’s capital budget is only a fraction of that, at around $383 million. She also stresses that capital spending is important for long-term economic recovery. The MTA’s cuts would not take place until the summer of 2010, and it must vote to approve them again after the agency holds public hearings on each of the individual service cuts. If recent controversial issues in the state capitol are any indication, no decisions will be made as to whether this is a good or bad idea until the last possible moment. Education groups announced today that they have made good on their threat to sue Gov. David Paterson for withholding education aid. The lawsuit was filed in state Supreme Court in Albany County by New York State United Teachers, New York State School Boards Association, New York State Council of School Superintendents; and the School Administrators Association of New York State. Other education groups that support the suit include the Campaign for Fiscal Equity, the New York State Association of School Business Officials and the state PTA. Paterson made the unilateral move of withholding 10 percent of school and municipality aid payments that were scheduled to be made yesterday. 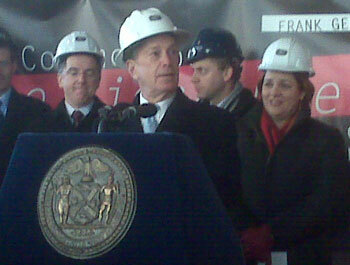 Paterson said the state simply does not have the cash on hand to make good on the full payments. Paterson tried to bolster his legal standing by making the cuts across the board instead of targeting well-off districts. The coalition says Paterson is in violation of the separation of powers clause of the constitution because he and the legislature have oversight over the budget. They say Paterson failed to get the legislature to support the cuts and has resorted to illegal means to cut spending. New voting machines may finally actually be on their way to New York City. The State Board of Elections on Tuesday, December 15 certified two new optical scan machines to replace the state’s fleet of lever machines beginning in 2010. Now counties, including New York City, will have to decide which of the two machines to implement. The Board of Election in the City of New York has scheduled a series of public demonstrations so New Yorkers can test the new voting machines for themselves. The first demonstration will be held tonight in Brooklyn, to be followed by one in each of the other boroughs over the next two weeks. There will also be a public hearing on December 29th from 6:00-8P.M. at the Board’s general office at 42 Broadway, Commissioner’s Meeting Room on the 6th Floor. This hearing will be an opportunity for the public to provide their feedback about which of the new systems they prefer. The City Board plans to vote to select the city’s new system at their regularly scheduled commissioner’s meeting on January 5th. Say sayonara to almost two dozen bus lines, the Z line and the Astoria-bound W line. The Metropolitan Transportation Authority’s board approved a doomsday budget this morning, which will cut service system wide and do away with a discount for student fares. The discount elimination will affect about 500,000 public school students in the city and will be phased out over two years, starting in September. None of the cuts will be implemented until after June, and they are in response to a $400 million budget shortfall. And for a glimpse at a last-ditch attempt to persuade the board otherwise, check out these video testimonies from City Council members. Mayor Michael Bloomberg said today that he expects congestion pricing will be back on legislator’s radars thanks to the Metropolitan Transportation Authority’s budget shortfall. In an interview with CNBC Bloomberg mentioned the measure had previously failed to make it out of the legislature. “But next time, come March, they’re going to have to balance a budget, and I think any kind of revenue source is going to be on the table, and it may in fact still get done,” said Bloomberg. Council Speaker Christine Quinn, Councilmember James Vacca and transportation advocates are calling for their own solutions to the Metropolitan Transportation Authority’s fiscal woes. The authority’s board is scheduled to meet tomorrow to vote on a new budget that will eliminate two subway lines and 21 bus routes. It also would eliminate student discounts and trigger service reductions across the system. In response, council members gathered this morning to urge the authority use $140 million in capital funds to temporarily close the authority’s operating budget gap. They also urged the authority to get Congressional approval to use $90 million in unspent stimulus funding to go towards the gap. The MTA’s Finance Committee approved a budget today that will severely decrease train and bus service across the city as well as end free rides for students. The MTA board will vote on the budget on Wednesday. The budget is expected to pass. Cuts in the budget include the removal of 21 bus routes and the W and Z subway lines. Students would have to begin paying half fare in September and full fare in 2011. Around 700 transit workers are expected to be laid off and management will take a 10 percent reduction in pay. Service cuts are expected to begin in July. MTA officials say the drastic steps are necessary as a result of a $383 million budget gap caused by state budget cuts, lower than projected tax revenue and a recent ruling that the MTA must pay workers an 11 percent raise. Kingsbridge Vote About Traffic, Jobs? Pictured above are Councilmember Joel Rivera and Bronx Borough President Ruben Diaz Jr. at a rally following the council’s vote. In a rare move, the City Council rejected a proposal from the Bloomberg administration and developer The Related Companies to redevelop a massive armory in the northwest Bronx this morning. After weeks of debate, the council voted against the proposal, which would have turned the Kingsbridge Armory into a large shopping mall, by a vote of 45 to 1, with one abstention. The project was effectively toppled by a disagreement between the community, the administration and the developer over whether to require the mall’s retailers to pay a living wage, which the community defined as $10 an hour. Today the City Council, led by its Bronx delegation, sided with the community. 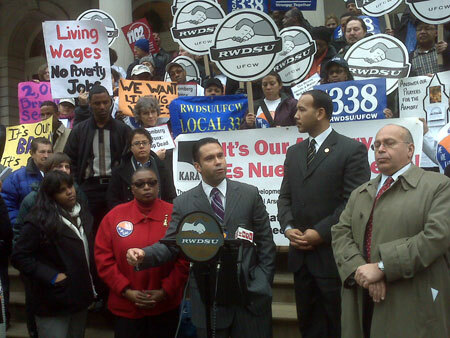 For months the subject of a living wage monopolized the discussion over the Kingsbridge Armory. But any living wage settlement would have likely been agreed to in a community benefits agreement, which is not subject to City Council approval. Therefore at its meeting today, council members cited other areas of the developer’s land use application that did fall within their purview, like traffic, as a reason why the proposal was rejected. “We have been very clear that there were a number of issues, many have been traffic and environmental, germane to the land use process, some separate from the land use process, which often happens in land use negotiations,” said Council Speaker Christine Quinn. “Obviously none of them were resolved,” said Quinn. Today was the final day for the council to act on the project. The council has 50 days after a project is approved by the City Planning Commission to either reject or accept it. The armory rejection will now go to the mayor, who is expected to veto it. Quinn said there were enough votes in the City Council to override a mayoral veto. The project, according to the administration, would have brought thousands of temporary and permanent jobs to the area.